There is nothing worse than being stuck on a plane for hours with nothing to eat because you can’t have the meal on offer. However, most airlines now cater for special dietary needs, so we created an infographic as a guide to the airline meal options available to you as a traveller. And we’ve also included tips to make travelling with special dietary needs easier because you have enough on your pre-holiday to-do list as is is. Once you book your flight you will have the option to request a special meal. 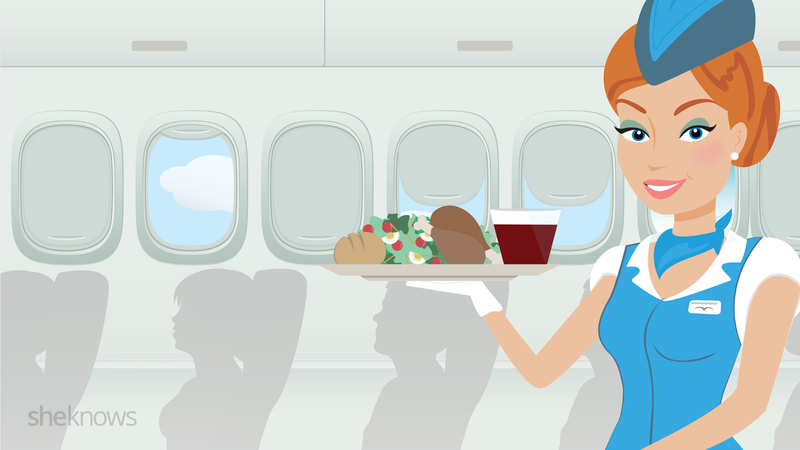 Most airlines offer a range of meals to cater for all sorts of diets but you may find that they don’t have exactly what you need. For example, no airline offers a meal that is both gluten- and dairy-free. You can choose one or the other and so you may find that your meal contains something that you can’t eat. Most airlines will not mix and match the choices they offer so make sure you choose the most suitable option. Most airlines allow non-liquids on board but check this with them prior to travel. If you have a medical note take that as proof that you need to bring your own supplies. If there is a mix up with your order you could be looking at a long wait until your next meal. It is always best to err on the side of caution and remember that the airlines won’t guarantee you get the meal you request. Check the online guidelines to make sure you order your meal in time. Most say 24 hours prior to departure, at the latest, but others require notification earlier. Some airlines reserve the right to refuse travel whilst others will not allow you on board unless you sign a waiver that relieves them of any responsibility for your safety. Giving enough prior notice is in your interest so that the aircrew can prepare and make sure that they don’t serve nuts on board during your flight. More: Should airlines ban peanuts? Menu options tend only to be available on medium to long haul flights. Domestic, shorter flights and flights with budget airlines may only offer purchasable snacks. Whilst allergy information should be available, there is no guarantee that there will be something that is safe for you to eat. Plan for travelling on these types of flights by taking your own food and inform the airline that you are doing so. If you are booking a package deal through a travel agent they will need to make your special dietary requests for you. Make sure you give them all the information they need to pass on to the airline. Remember not everyone understands food intolerance and information can become lost in translation. If you do not get the meal you ordered inform, the airline on your return. Most airlines will be happy to hear from you as they value customer feedback and would prefer to know about any mistakes made.